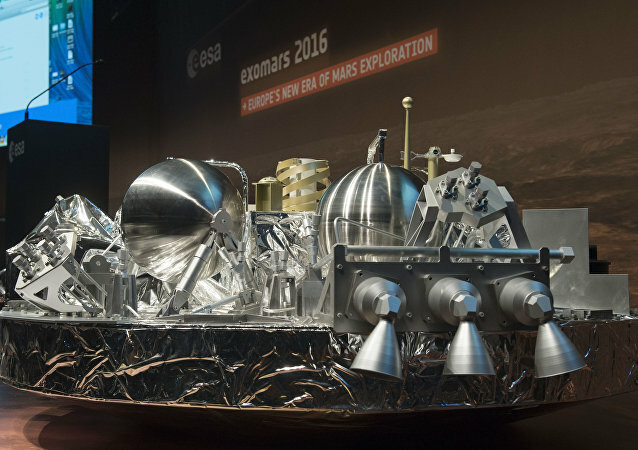 The ExoMars 2020 mission is the first joint program between the European Space Agency (ESA) and Russia's Roscosmos space corporation. According to the head of the Russian Academy of Sciences' Space Research Institute, the launch of the ExoMars-2020 mission is scheduled for July 24, 2020. Two Russian devices to be mounted on the Mars rover of the ExoMars 2020 mission are nearly ready, by the end of 2017 they will be supplied to the European Space Agency (ESA), head of the Russian Academy of Sciences' Space Research Institute laboratory Daniil Rodionov told Sputnik Monday. Russia is a fundamental partner in the joint project between the European Space Agency (ESA) and Russia’s Roscosmos space corporation ExoMars, Italian Space Agency (ASI) President Roberto Battiston told Sputnik. The German space agency's chairman called on Russia, Japan, the US, Europe, China and India to cooperate in space exploration. Creation of spacecrafts as part of the European Space Agency’s ExoMars program will require about $82 million, according to procurement list of the state organization Roscosmos. 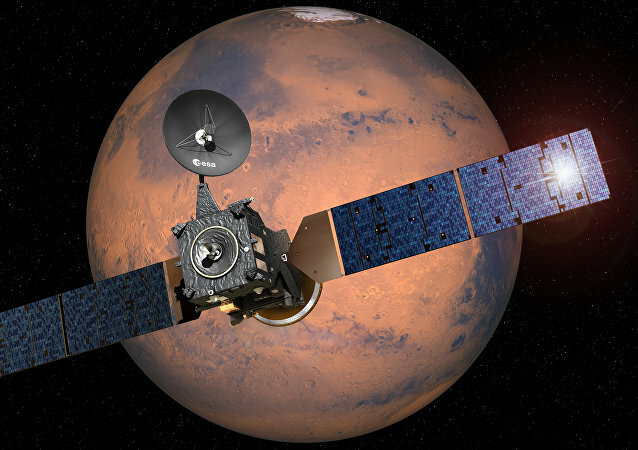 The main objective of the Trace Gas Orbiter (TGO) of the ExoMars-2016 mission is to prove the existence of methane in the planet’s atmosphere, which could lead to the confirmation of the existence of life on Mars. 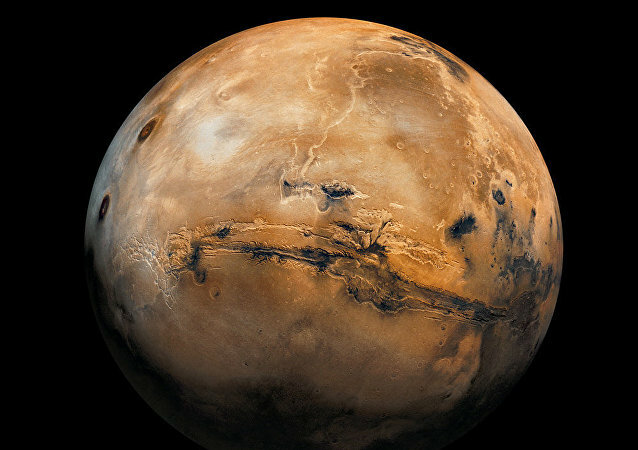 The EU is about to claim its first unmanned Mars landing in a joint project with Russian enterprise Roscosmos. Just several minutes ago, the Schiaparelli probe entered the higher layers of the Red Planet's atmosphere. Radio Sputnik discussed the subject with Rene Pischel, Head of the ESA mission in Moscow. The Schiaparelli lander's signal went dark after the vehicle's landing on Mars. The European Space Agency (ESA) said Wednesday it had received signal from the trace gas orbiter of the ExoMars-2016 mission after its lander landed on the Red Planet. 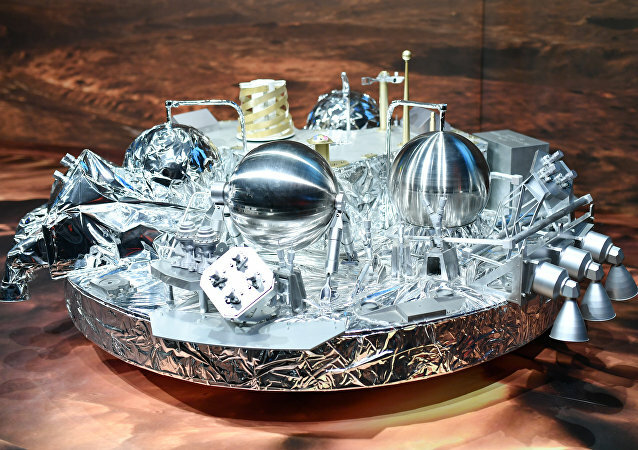 The Schiaparelli lander of the joint ExoMars-2016 mission of Roscosmos and the European Space Agency (ESA) landed on Mars, an official of the Space Research Institute of the Russian Academy of Sciences said Wednesday. Flight Director Michel Denis confirmed that the Schiaparelli lander has successfully separated from ExoMars Trace Gas Orbiter (TGO). 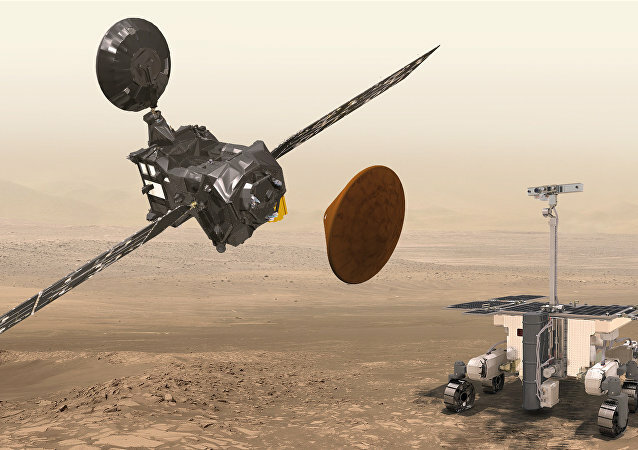 Next week, scientists hope, the ExoMars lander will finally make it to the Red Planet and join NASA’s Opportunity rover in the search for extraterrestrial life. The ExoMars spacecraft, the first ever Russia-EU project on the search of life on Mars, will reach the Red Planet's orbit on October 16. Despite the current tensions between Europe and Russia, its business as usual for Roscosmos and ESA on their joint Martian endeavor. 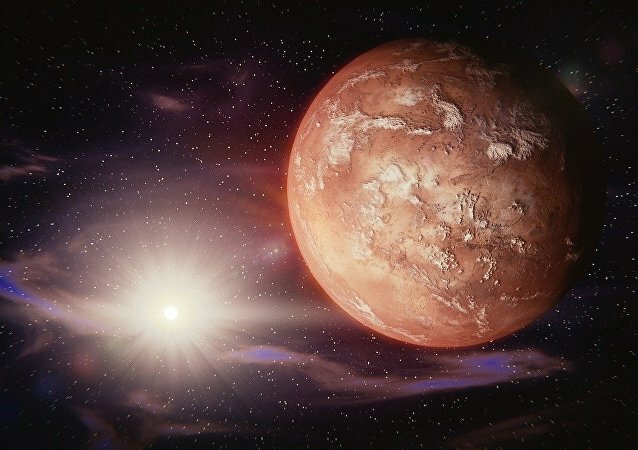 Russia saved the ExoMars program aimed at exploring the Martian environment from closing when the United States exited the research, Sergei Savelev, a deputy head of the Russian Federal Space Agency (Roscosmos), said Wednesday.